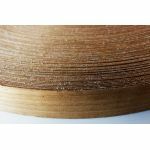 Minimum quantity for "Teak Veneer Edge Banding -- Hot Melt Adhesive -- Apx 7/8" Wide -- 10' Lengths -- Free Domestic Shipping" is 1. 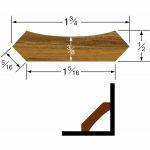 We offer a nice selection of Whitecap Industries teak molding, in a variety of profiles -- all in 5' lengths. 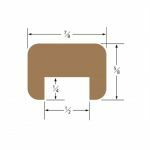 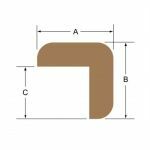 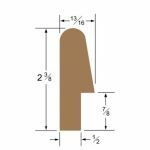 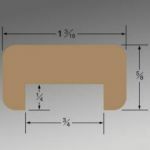 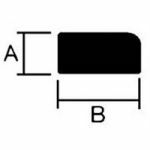 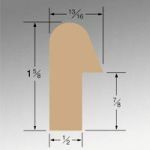 Several of our molding profiles can be mated to matching inside and outside corners, making a simple matter to create fiddled edges for cabin tables and the like, and to provide a clean, finished cap for exposed bulkhead cut-outs and edges. 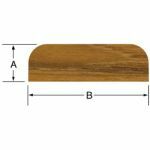 If fiddled or raised edges just won't do, we also offer our own line of solid teak veneer strips in 3' lengths. 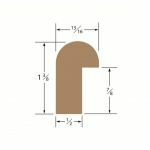 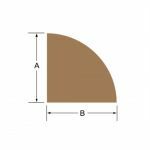 We mill these up in 1/16" and 1/8" thicknesses, and in 1/2", 3/4" & 7/8" widths, allowing superior quality edge-banding for plywood panels at reasonable prices. 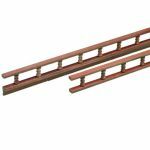 Our other Whitecap offerings include ell molding, quarter-rounds, pin rails, stop molding and 3/8" thick teak battens in a variety of widths.